Dolls Point. The rustling of leaves under a cool ocean breeze, sand under foot and sun burning brightly in the sky. A holiday destination at home. All this and more on your door step so what’s holding you back? If the answer is back or neck pain then you need Sydney Wide Chiropractic, the leading chiropractor in Dolls Point, to help you regain your mobility and confidence. Having been helping Dolls Point for the past 11 years we know better than anyone how life’s little stresses can add up. But that doesn’t mean you should have to suffer with pain or discomfort which is why we offer a range of effective and affordable treatments to help you. 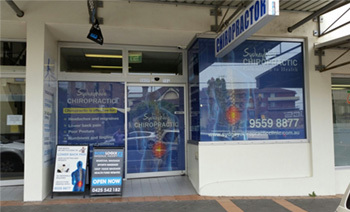 Our reputation as the premium chiropractor in Dolls Point has seen us exceed the expectations of our clients time and time again and it is that expectation that forms our mission statement, enhance lives and restore health and vitality to those who need it. Our chiropractic approach focuses on identifying the cause of your pain, reducing stress and using safe and proven techniques to improve posture and performance. The simple fact is that your body will let you know when it needs help and that isn’t a struggle you need to face alone. Regardless of your health concern we have the university trained and clinically experienced team to assist, for every stage of life babies through to the elderly, children and adults. We are committed to providing the highest quality chiropractic care for you and your family so you can get on with living life as the best version of you. It is our goal to not only understand and treat your health concerns but equip you with the skills and information to go forward confident in your own ability to self-heal, with regular maintenance and wellness. So if you’re looking to remove that unwanted pain and discomfort and experience a world of renewed energy and vitality then give us a call today at (02) 9529 4008 or email us at info@sydneychiropracticclinic.com.au and organise a treatment today.